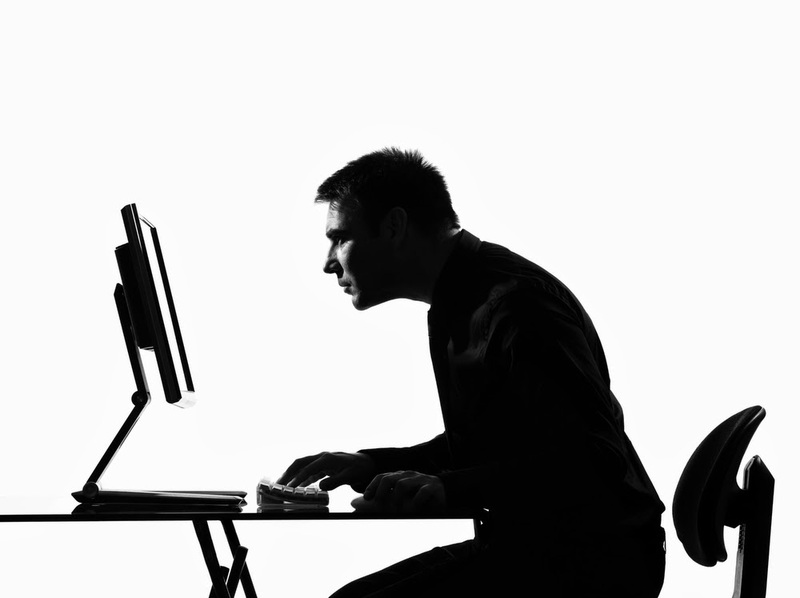 We all look up or down frequently – just think about flicking your eyes between the keyboard and computer screen. We also look up to open a high cupboard, hang washing, or talk to a taller person. We look down to clean teeth, unpack a bag, or talk to some-one seated. How we make these movements can put undue strain on some of our neck, shoulder and back muscles. You can change how to look up and down by consistently applying some basic principles of Alexander Technique. This is because how we move the head is typically associated with a movement pattern involving the whole body and limbs. With Alexander Technique we work to identify the pattern, and gain some of the freedom that we had in early childhood. Today we will focus on looking up. How do we typically look up? Put your hand on your neck as you do it. Did you pull much of your neck and back in as you looked up? Did you raise your shoulders? What happened at the bony prominence (part of vertebra C7) just above the shoulder blades? Most of us move a lot here, rather than higher. Well, whatever you do, it is a reasonable thing to do – you have found it a useful pattern many thousands of times, and it probably works for you. But maybe it can be easier. Read on. I give you specific suggestions later in this blog to help look up more freely. Ask yourself - where is the point at which my head pivots on top of my spine? 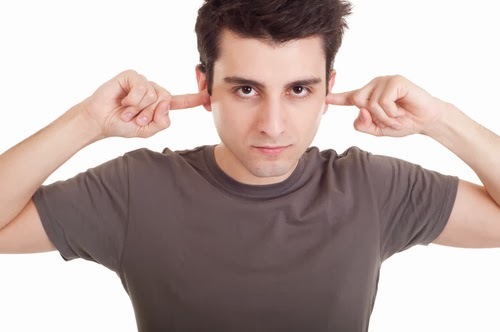 Touch your earhole with a finger. Now try the smallest possible nod a few times to feel where that point is. Now increase the size of nod. Ask yourself - Does this give you a different sense of how the head balances on top of the spine? It may help to think of the head moving forwards and backwards on an axle. If you do this exercise in front of a mirror, notice how the finger moves very little. What happens if you place the finger elsewhere on the side of the head? Range of motion – We don’t have to crane the neck as much as we might think. 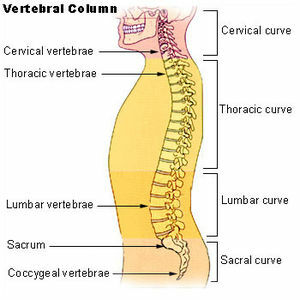 There are seven neck vertebrae – starting with C1 at the top down to C7. There is room for lots of nodding movements, up and down, at the joint between the head and the first vertebra C1. The joint is known as the atlanto-occipital (A-O) joint. The range of movement up and down here is 20-30°. The next joint – between C1 and C2 – is mainly for rotation as in shaking the head to say ‘no’. Another 100-110° of movement is available in the other joints between the neck vertebrae. 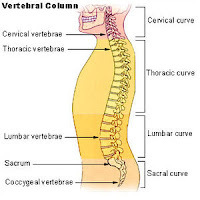 Below C7 is the thoracic spine, where flexibility is important, but there is less movement because of the connection of the ribs to the vertebrae. Balance of the head – when the head is sitting freely on top of the spine, it is slightly forward of the centre of gravity. This results in passive stretching of the small muscles behind the neck, known as the sub-occipital muscles. Our bones and strong ligaments also hold the head in place. Muscles can become unnecessarily involved. When this happens, the neck, shoulders and b ack can tighten. 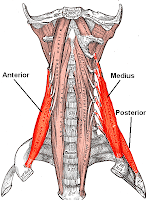 Some of the muscles are the scalenes (see illustration), which suspend the rib cage from the head, and the large trapezius muscle, which influences shoulder movement. Height differences mean that, in crowds or small groups, some of us are looking up more often than others. There is a distinct gender difference. 89% of women compared to 23% of men were found to be less than 170cm (5’7”) in a large Australian survey (ABS 1995) (see details in the table below). Ask yourself - how well is this person looking after themselves? He is moving his neck in two different directions relative to the spine – down at the bottom (C7) and up at the top (C1). You can see this clearly if you hold a pencil along his torso, then along his neck, and finally up his head. Look straight ahead. Without moving your head, just imagine looking up in the following way. Start by imagining your eyes slowly rolling up, the head now pivots at the first joint, but the back and shoulders stay out of the movement. Now begin the actual movement – eyes first, leading the head, which pivots at the first joint. Stop as soon as you feel any pain, or your neck and back pulling forwards. Now bring your head back to face straight ahead again. Now imagine your head is tied to a balloon floating above and slightly ahead of you. Imagine the balloon gently lengthening you right along the spine – both front and back of the body. 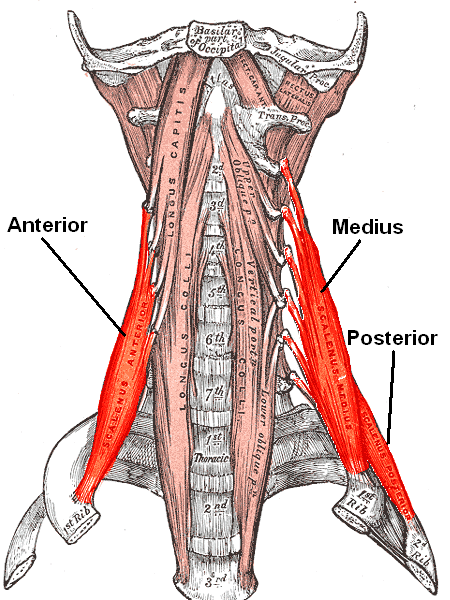 Imagine looking up again, and now think about releasing the muscles at the back of your neck. Of course, in larger movements of the head, there will be movement in other cervical vertebrae – but it is useful to start by thinking of leading with the eyes and a nodding movement. · observe what is happening throughout the body, not just the part. Your habits in looking up or down will be linked to others – how you use your shoulders, arms, ribs and legs. · provide expert observation to help you really understand your habit – what you are really doing may not be what you think. David Gorman (1981) The Body Moveable, Volume 1 : The head and trunk. Ronald Moskovich (2001) Biomechanics of the Cervical Spine, In M. Nordin, & V.H. Frankel Basic Biomechanics of the Musculoskeletal System 3rd Edn. Source: ABS (1995). In the ABS survey, people were asked to self-report, while a large number were measured. An amazing statistic - 33% of males and 25% of females over-stated their height by 3 cm (1.2 inches) or more. 11,199 people were measured. Very thorough article and nicely written! People when they look up (and if they are moving with attention,) they tend to generally bring their head more in line with their body and stop craning their necks out in front. Use the quality of a listing of the body movement that happens as as it attempts to get underneath the head when looking up in an interesting experiment. 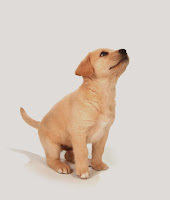 A person can launch a forward motion with this easy quality of listing as the face comes forward after having looked up. This way it is possible for mostly anyone to get a pretty good rendition of what hands-on A.T. teacher can offer. Of course, the ability to sustain improvements is what is possible that might come from such a simple experiment.